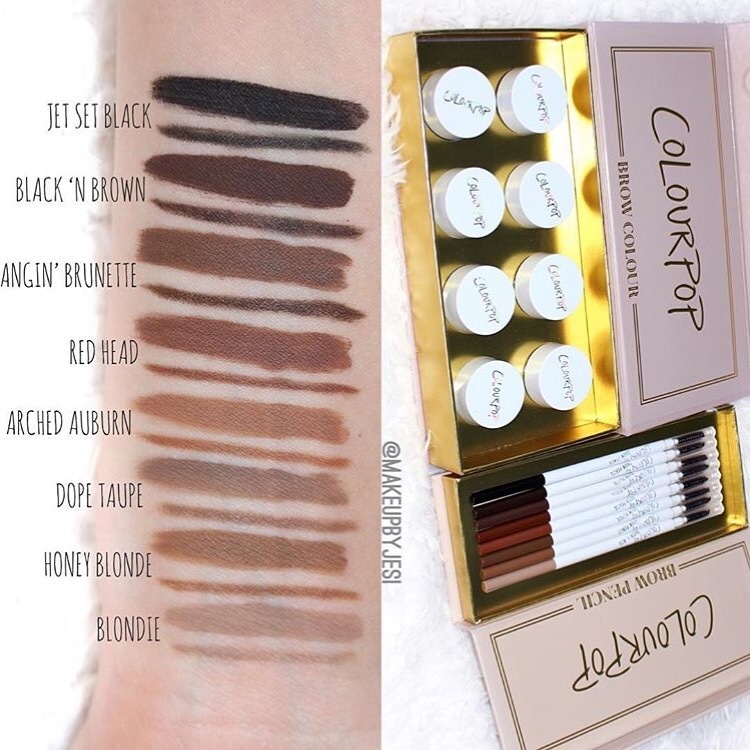 Colourpop Eye brow pencils & Gel swatches! omg 😱.. 💸💸💸💸 @colourpopcosmetics killin’ my wallet again…can’t wait to try these. Colourpop always offering a wide range of colors! Thank you @makeupbyjesi for the lovely swatches!! !